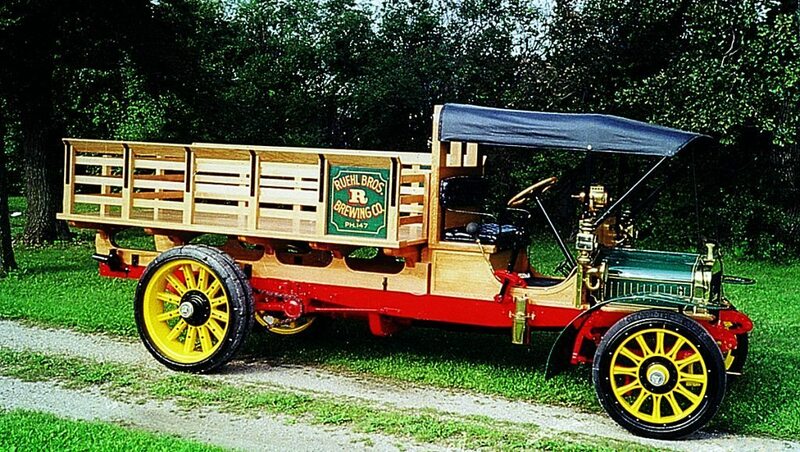 The Museum has two trucks turning 100 years old! A 1912 Saurer, the only American made Saurer known to still exit, and a 1912 Mack Jr. During The Walcott Truckers Jamboree, the Iowa 80 Trucking Museum hosted a 100th birthday party for these two incredible antiques. 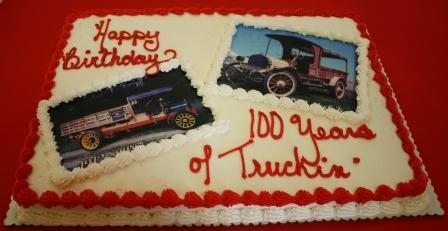 We had a Birthday Cake that was as delicious as it was beautiful. 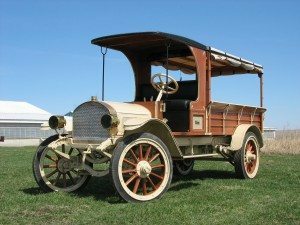 Our curator, Dave Meier gave a speech about these two amazing trucks, and thanked everyone for attending the birthday celebration. 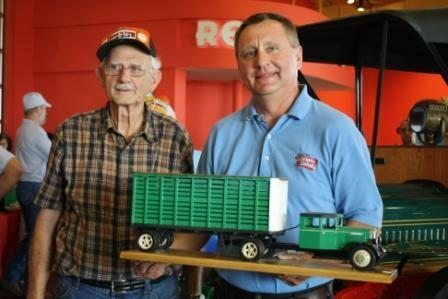 A handmade replica of the 1934 GMC currently on display, was also presented as a donation to the Iowa 80 Trucking Museum. 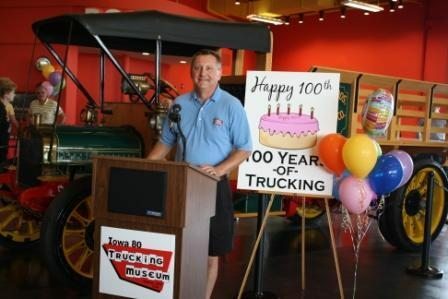 The Birthday Party was a huge success and we invite you to join us next year as the Iowa 80 Trucking Museum celebrates the 100th Birthday of our 1913 Rambler.